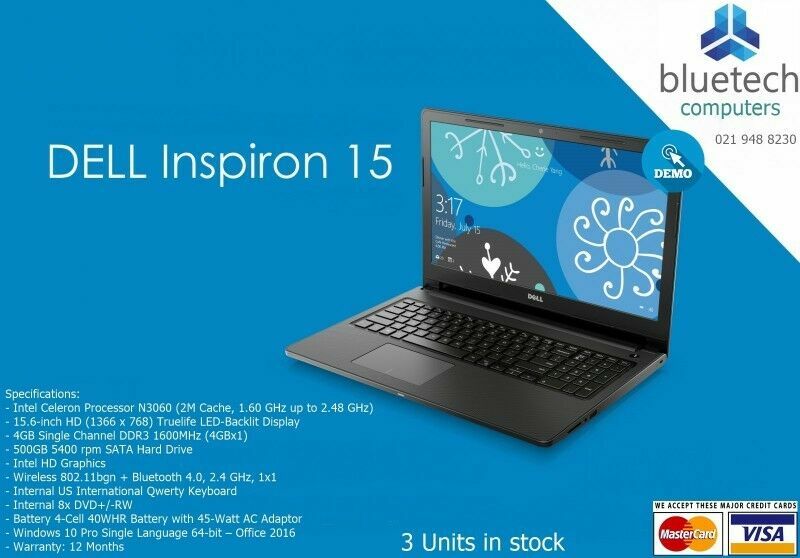 Hi, I’m interested in Dell Inspiron 15 Series, NEW DEMO Laptop, Intel Celeron N3060, 500GB HDD, 4GB, Bluetech . Please contact me. Thanks! The selling price is R4,100 & negotiable as well with 1 year guaranty. New in box Dell Inspiron 3552 (2018 Model) + 10 hour Battery + 12 Month On Site Warranty. New in box Dell Inspiron 11 – 3162 + 10 hour Battery + 12 Month Warranty.